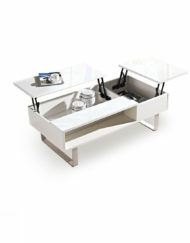 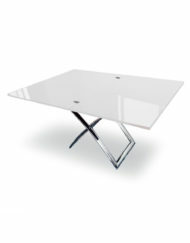 An exquisite modern glass table that has hidden built in extensions. 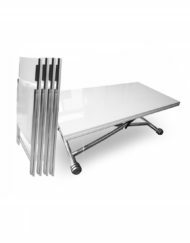 The Horizon table comes with a push button mechanism to lift and lower the unit as well as curved chrome legs in flat metal finish with a white glass top. 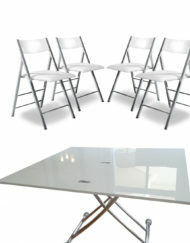 Seats 8 people as an extended dining table. 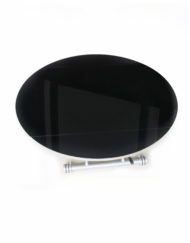 For a video demonstration click on the video tab below. 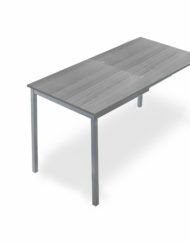 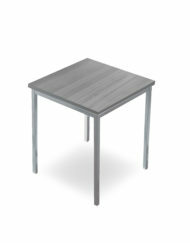 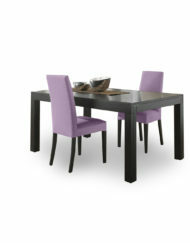 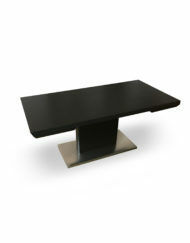 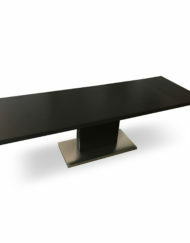 We also carry custom wooden expanding tables and the extending Obsidian White Glass table. 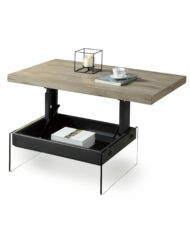 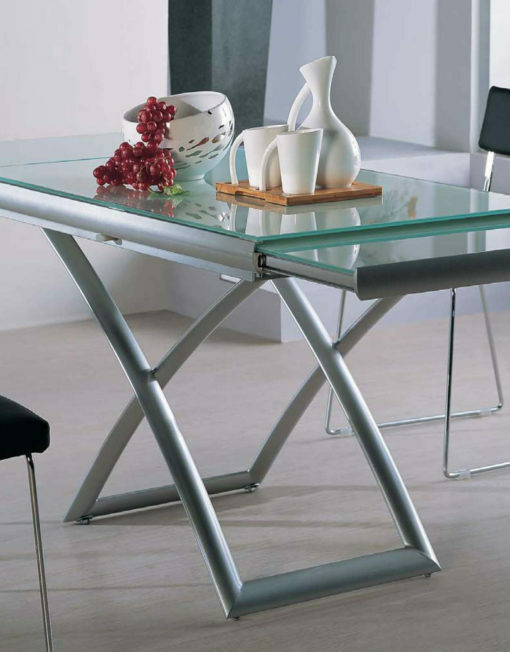 This extending glass table is modern, stylish and multifunctional. 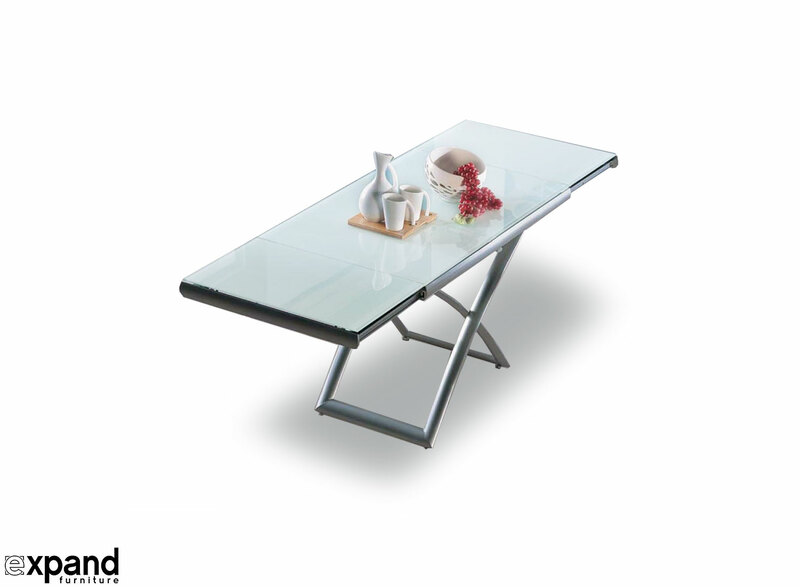 With a push of a button the extending glass table can be lifted or lowered to your perfect height. 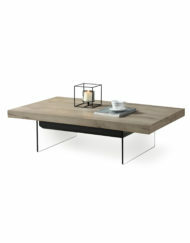 Use it as a coffee table and extend out the hidden ends to create a much larger table. 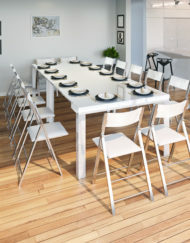 Raise the table into a full dining table to seat 8 people very comfortably for dinner parties. 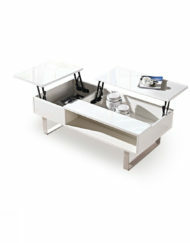 This can be used every day or as a spare table that hides away as a beautiful coffee table in the living room. 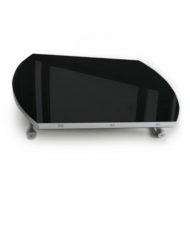 Wheels are built into the base and the unit can easily slide on most surfaces. 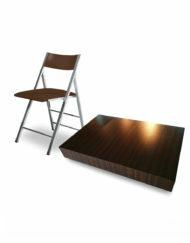 Widely available furniture sliders can be placed under the legs if necessary. 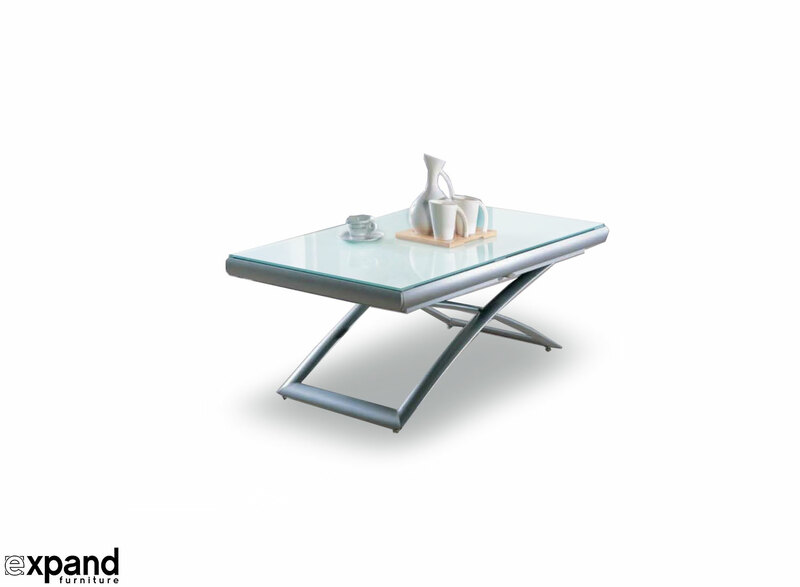 Flat metal finish on the curved chrome legs matches the side panels on the glass top. 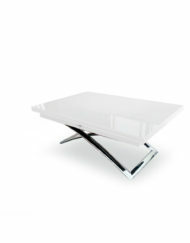 White glass surface. 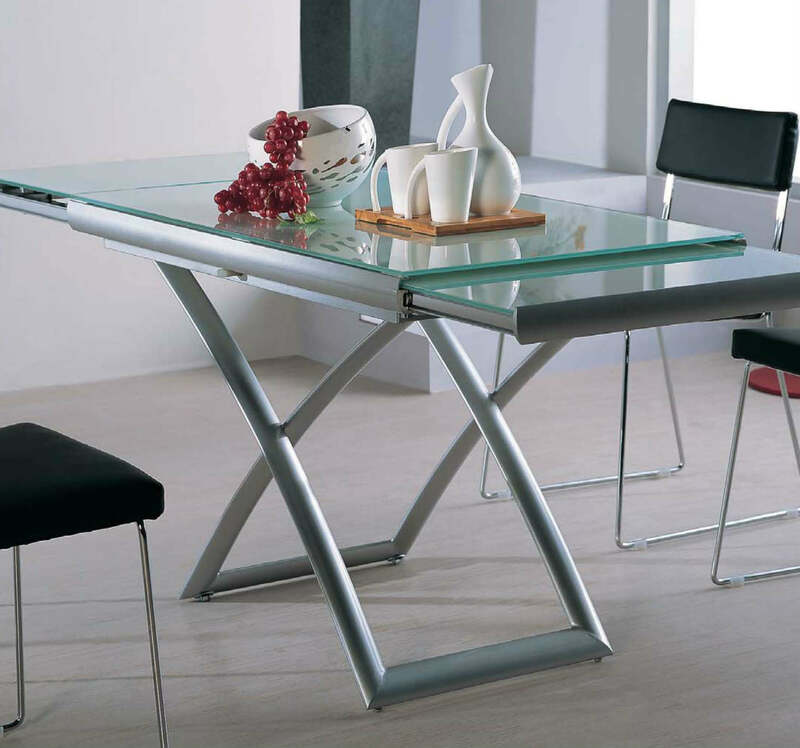 This extending glass table is a versatile space expanding solution. 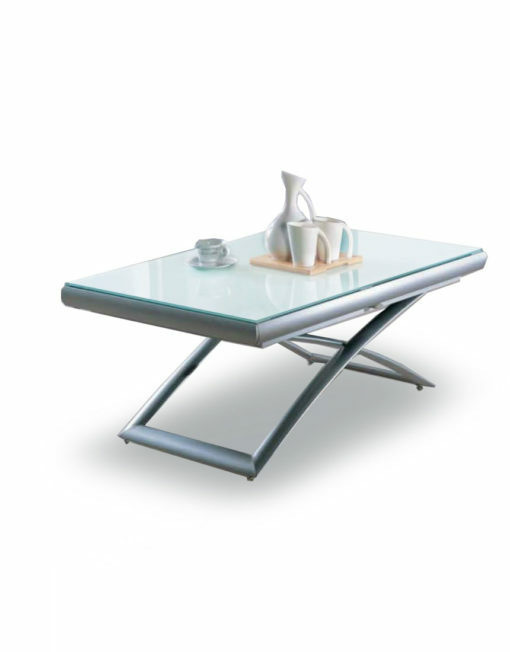 Coffee to dining transformer as well as large extension ability makes this a great compact table and a large table for entertaining. 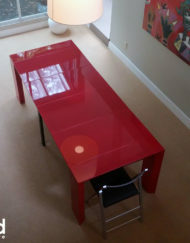 The glass surface makes this a breeze to clean. 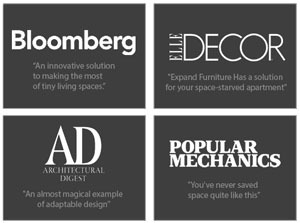 We make things easy. 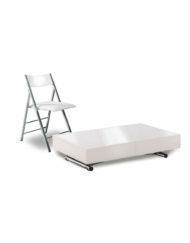 This product is fully assembled out of the box and is ready to use right away. 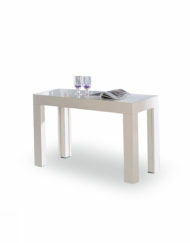 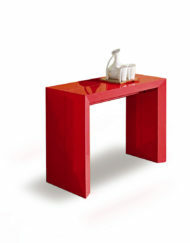 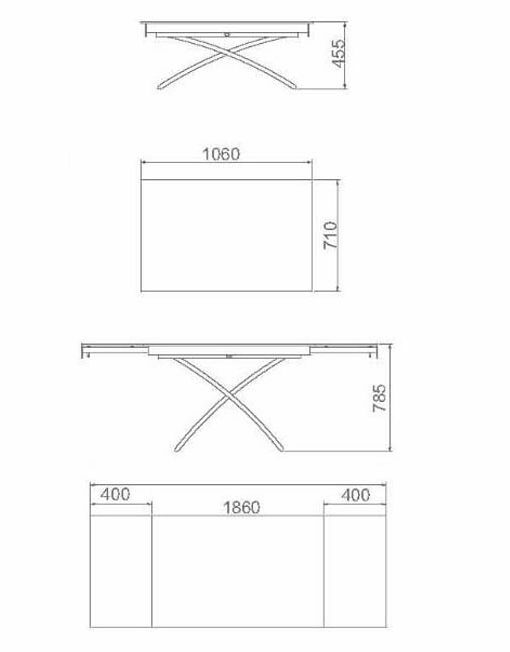 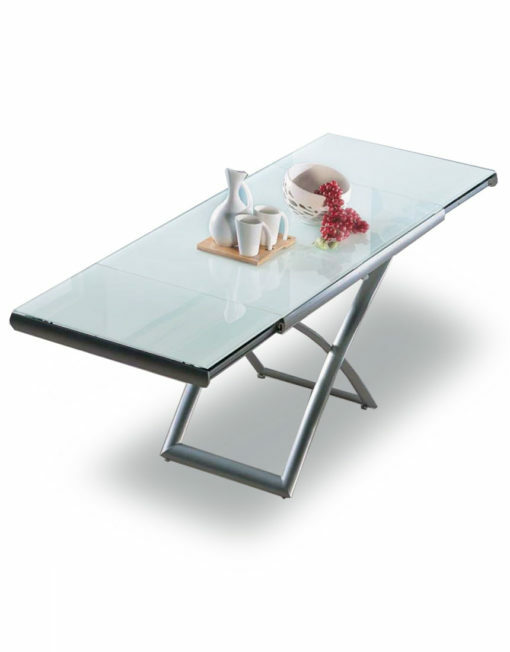 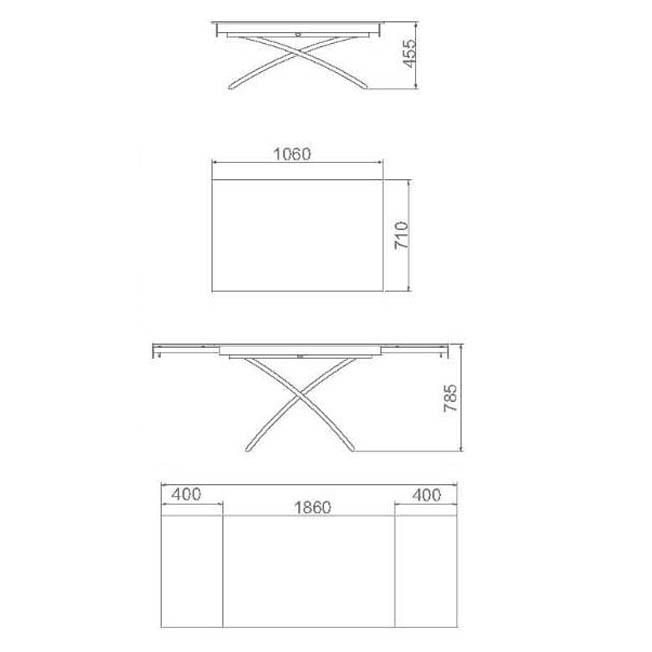 Shop for more Glass Expanding Tables Online. 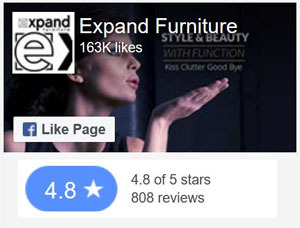 nice folks at Expand furniture and a little tinkering on mine, we got things working properly. 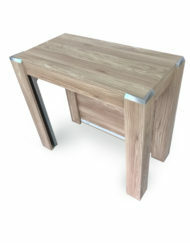 You folks have a nice line of products!